Has your energy been running lower with each successive year? Have you gained weight, noticed small disabilities like allergies, or struggled with bigger issues like heart disease or cancer? If so, perhaps it is time for you to educate yourself on how your thinking affects your health. It is one of 14 interactive training programs in essential Successful Living Skills for the 21st Century. It is also a “co-creative process” designed to evolve over time through input and participation by readers like you. A Program Designed for YOU! Enjoying Ultimate Health and Well-Being reminds you that both awareness and deliberate action are needed to keep you healthy and fit. And it shows that the process can be relatively easy and definitely fun! Perhaps the most important thing about Enjoying Ultimate Health and Well-Being is its emphasis on putting yourself back in charge of your health. You won’t find recommendations for supplements, diets, or exercises listed here. Instead, you’ll discover intriguing advice on realigning your thoughts. Enjoying Ultimate Health and Well-Being takes a systematic approach that works on multiple levels so success is much easier to attain. It will provide you with a path to ultimate health and well-being that starts with what you believe about yourself and your body. It’s all here, from creating a new vision of yourself to goal setting, action plans, and support networks. Was there a time in your life when you could eat or drink anything, stay out all night dancing, then get up the next morning and go to work? Go back a little further… remember when you rolled and tumbled about freely on the grass, in the sand, or over the furniture? Was there a point in life when you climbed playfully across monkey bars or through the trees? How many of these activities have you given up? Why? Motion and flexibility is youth! Too often we put off thinking about health. Even more often, we think that it is normal and natural to become disabled, decrepit, and unable to take care of ourselves. This is a tragedy because there is no reason we cannot remain healthy, active, and in full control of our capacities for our entire life. To do this you must accept the fact that you are in charge of your health. No one else is going to live in your body and take care of it. If your energy has been running lower and lower each successive year, if you have gained weight, noticed small disabilities like being out of breath or signs of allergies, or been struggling with big issues like heart or kidney disease and cancer, it is time for you to educate yourself a little better on how to clean out, rebuild, feed, and exercise the body you’ve been living in for some years now. Good health doesn’t happen automatically, in the same way that disease doesn’t occur automatically. There is an old saying that goes something like, “It is far more useful to know what kind of person has a disease than to figure out what kind of disease has appeared in a person.” This is because disease is usually the result of a given lifestyle. While genetic disposition and heredity are played up as the culprits in many diseases, the truth is that by changing your lifestyle you can often avert the disease altogether. You can gain relief from many symptoms, if not outright healing, by knowing what to do and then doing it regularly. The challenge for many of us is knowing what to do, and especially – getting started! To truly heal yourself and enjoy ultimate health and fitness you have to work at multiple levels simultaneously – the physical, mental, emotional, and spiritual levels. The physical work may consist of changing what you eat, doing a few exercises, shifting your sleep patterns, taking vitamins, or doing some regular detox routines. The mental work may include learning to think differently, practicing new forms of self-affirmation, deliberately shifting your worldview and habits of perception, or assessing your relationships and career. The emotional work often involves exploring your feelings, weeding out guilt, facing fears, letting go of pain or the people who constantly thrive on pain, and learning to accept yourself as you really are. Inside each of us, often hidden under multiple layers of hurt, worry, anger, disappointment, and fear, is a beautiful Being full of love. To find this Being means learning to “feel what you feel” and accept that as is so it can either pass (if it’s painful) or be integrated (if it’s joyful or loving). Spiritual work requires that you excavate the spirit of your real Self! It means having to explore the meaning of your life, how you would like to live that life, and what kind of health you need in order to do so. The spirit that animates your body and your life is the true healer in you and it is when you acknowledge that incredible life force that wholeness and miracles begin to unfold. To touch this spirit of life is to recognize that you are truly unique and beautiful inside, regardless of what is happening outside. If you can vividly imagine yourself as healthy, active, and joyful about life then you can learn to create it. To learn to create anything you must first decide you want it, then decide to do something that will take you in that direction. What will optimal health look like for you? How will you feel and look? Recreate the feeling of what it’s like to be fully energized, active, and healthy…then bask in this feeling. Enjoying Ultimate Health and Well-Being is a wonderful way to start creating a life that you can enjoy all the way through. From creating a new vision of yourself, to goal-setting, action plans, and support networks, everything you need to get started is there. Ultimate Destiny University goes even further by offering ongoing support, coaching, and a host of additional inputs to make your dream of yourself come true. A reminder of how health can slip away almost unnoticed. Reminds you that only you can truly be in control of your health.. Gives principles that help you implement and effectively work any health or fitness regimen. Shows how positive emotions are an important guide to maintaining health and reaching fitness goals. Commit to never needing to recover from unnecessary poor health because you know how to manage your body/mind well. Take control of your own health. Realize you are best qualified, working with professionals. Enjoy freedom by learning to make good habits fun and easy. Master practices of mental as well as physical exercise that will immediately have you feeling better and better. 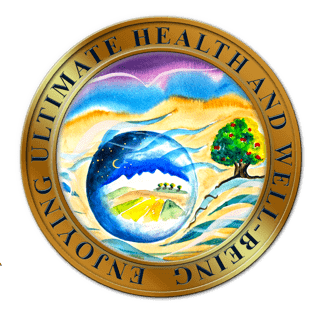 Enjoying Ultimate Health and Well-Being also includes featured resources including printed and digital book, audio and video programs, seminars, workshops, webinars, tele-seminars and live events from some of the top resource providers in the world. Enjoying Ultimate Health and Well-Being is a Treasure Chest packed with 110 pages of original content, fun and insightful self discovery assessments, Master Goals Setting Forms, Implementation Action Planning Exercises and several FREE BONUSES. It is now available at introductory sale prices as an E-book or printed book. 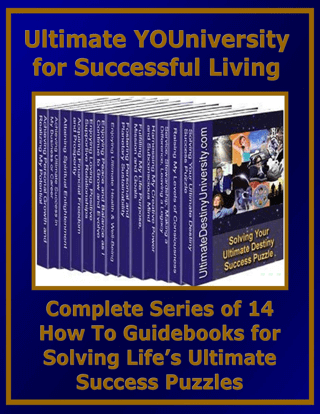 Enjoying Ultimate Health and Well-Being includes pre and post self-assessment quizzes, featured resources, application exercises and tools for planning what priority action steps to take to achieve your ultimate success in this area of successful living. The complete set of all 14 titles is available at a discount but it is also included in each of the various membership options. Congratulations on taking action now and take control of your future. We look forward to helping you discover your dreams, fulfil your life purpose and manifest your ultimate destiny. As co-authors, we wish you ultimate success in every area of your life! May this year be your happiest, most rewarding, fulfilling and richest year ever. . .
Accessing the site dedicated to this title will provide you greater insights on the benefits of the course with a preview of a quiz and other course components. It will also give you an opportunity to join the specific college or community forum. Access the Dedicated Site Here!